I just participated in the She Who Sews Challenge Handmaids Giveaway. As part of being selected as a participant in the challenge I received the two blue fat quarters from Joy Studio aka Tidings of Great Joy, LLC The other fabric I purchased with great joy. The Handmaids fabric was created by J. Wecker Frisch and for me it was love at first sight. As soon as I saw this beautiful fabric I knew it belonged to me. It made my heart skip a beat. It just makes me happy! 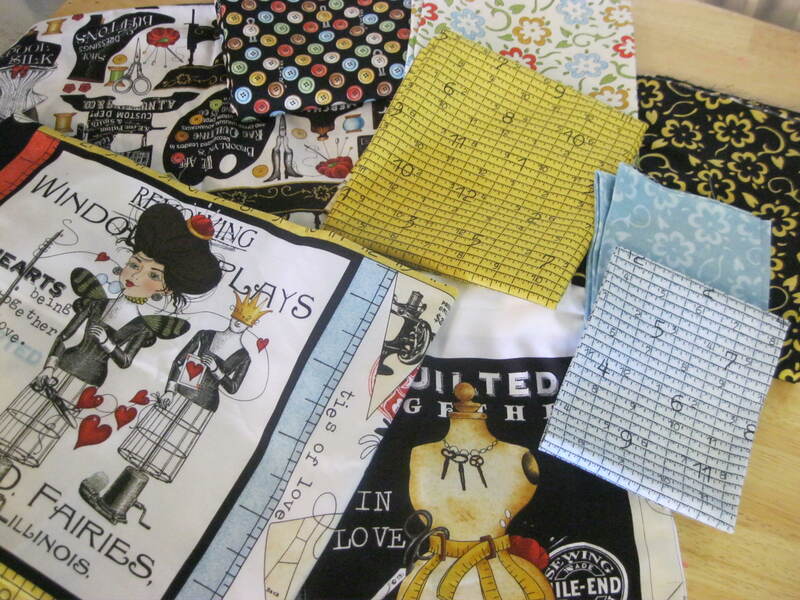 So when I read about a sewing challenge I seized the moment. I knew I was going to make an apron. I wanted a sewing apron and a way to really showcase the designs in the fabric. 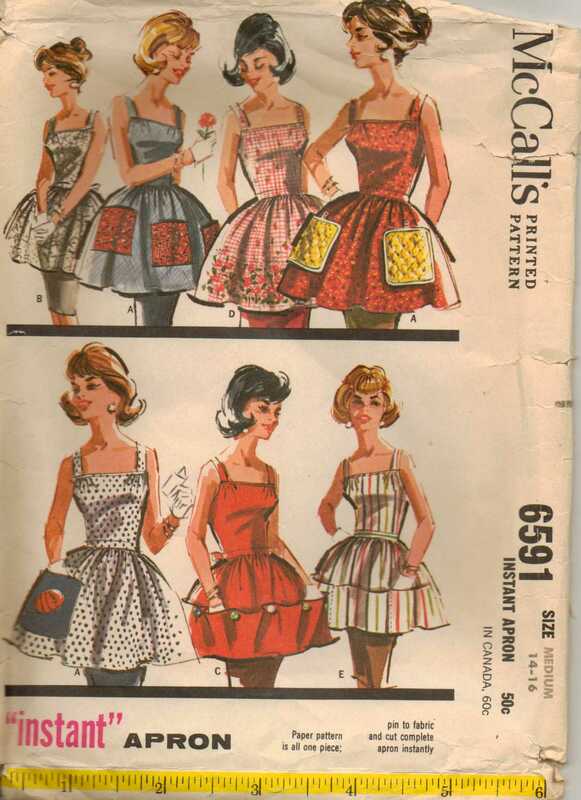 So I chose this vintage 1962 McCall’s pattern. Lovely, isn’t it? I used a little bit of all the fabric. My daughter chose the design for the front bodice. Great choice! I used the fat quarters that were provided for the side of the front bodice and the trim at the neckline. I decided to make just one front pocket but I made it into three sections. Also the bodice is lined which I forgot to get a photo. Now this is the first time I used a vintage pattern from the 60’s so there were some hiccups. A couple of pattern pieces were missing so I made my own. I might use the pattern again with some modifications. Anyway it was great to be a part of this challenge and it was even better to get a project done! I’m new to wordpress so once I figure it I will get my links in order. In the meantime you can find Handmaids fabric on Facebook with more photos of the very creative project entries.